Heavy rainfall brings flooding to Terrell and other parts of North Texas. Heavy rainfall brought flooding to some parts of North Texas on Tuesday. Terrell was one of the hardest hit areas by rising flood waters. Residents woke up to find swollen creeks overflowing onto roads, causing major traffic problems. "Yeah, this did happen pretty fast," resident Chandler Baggerly. "I mean this rain we're getting is pretty unbelievable." Drivers could be seen pressing their luck near downtown Terrell for most of the day, hoping to get through the high waters on the roads. "Fast rains like this aren't good for us," Baggerly said. It was especially true for Baggerly, who was trying to get back to his RV. About two to three feet of water covered the entrance to the RV park where Baggerly lives in the 4600 block of Highway 80. "(I) just went out to go get some lunch and came through here earlier, and it was flooded out real bad," he said. "And it's just, it floods out real bad because there's a creek out in the back." 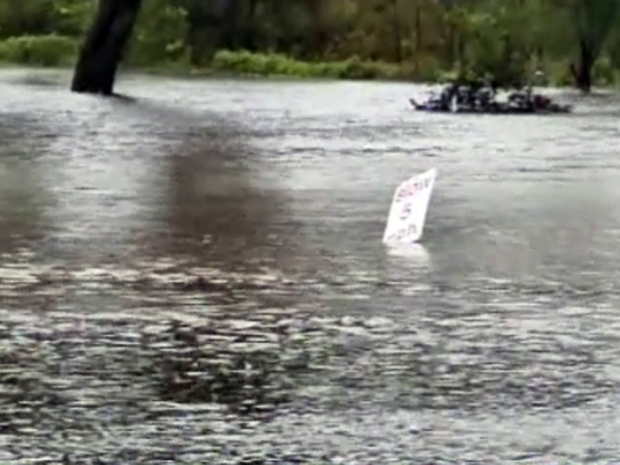 Baggerly ended up taking his chances, making it through the flood waters thanks to his pickup truck. Kenny Petet lives not far from the flooded RV park and the swollen creek. "I've got 15 race horses. We had to swim them across that creek to get them to come eat today," he said. 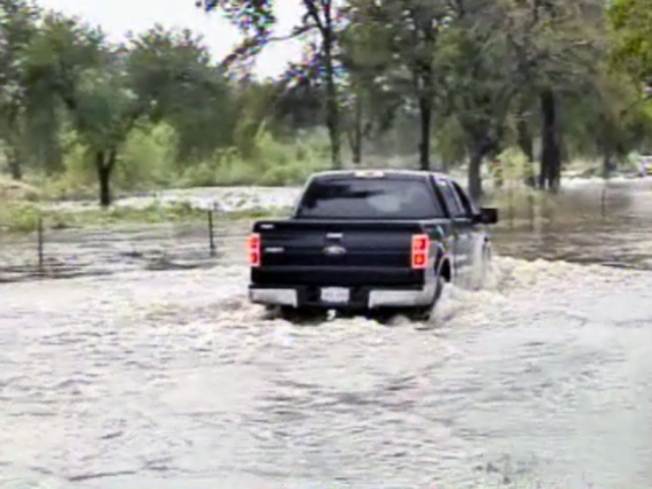 Across the Terrell area, the high waters posed problems. About three feet of water kept employees at one business from leaving and delivery trucks from coming in. And while Baggerly welcomed the rain, he said, for now, enough is enough. "We needed the rain, but I think we got what we needed," Petet said.